Explore the stunning natural attractions Fraser Island has to offer on this 4WD camping tour. Over three glorious days you’ll swim in pure freshwater lakes, drive along stretches of beach and share stories around the camp fire. Upon arriving in Hervey Bay you’ll spend your first night of accommodation at the Palace Hostels - right where the tour departs the next day. 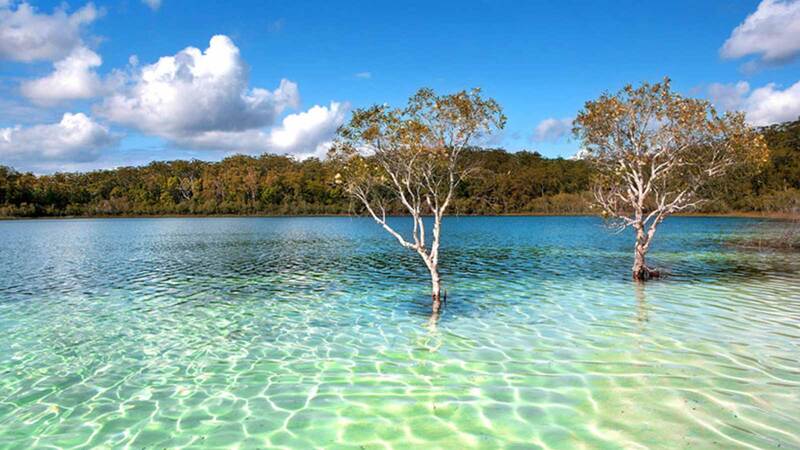 Once you step off the ferry on to Fraser Island, you’ll be whisked away by Palace Adventures, driving along a sandy track in your 4WD, surrounded by vegetation and bird life. Each night you’ll retire to the purpose built camp site along the eastern beach. With an exclusive camp trailer you can spend your nights gazing up at the stars; while your days are full of navigating over exposed tree roots or on sandy tracks.